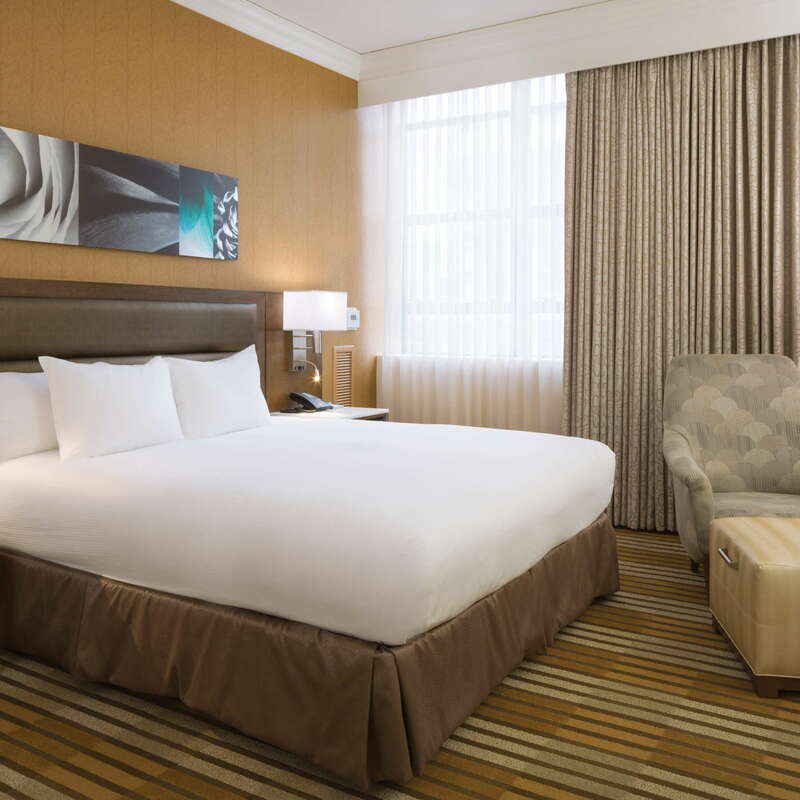 If you're looking for comfortable downtown lodging, you'll find it at this upscale business hotel with 24-hour fitness and business centers. 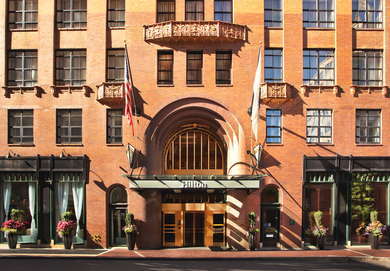 The 1928 building was the first art deco structure and first skyscraper in the city, and now is a clean and quiet hotel that caters to guests heading to the nearby Financial District, as well as families looking to hit the big downtown attractions like Quincy Market and the New England Aquarium. Readers praise the efficient, professional staff. The guest rooms are relatively spacious, with high ceilings and crown moldings; some overlook the waterfront. They have 42-inch HDTV's, black-out curtains, spacious work areas with ergonomic chairs, in-room refrigerators and down pillows and comforters. The large windows actually open, which is a rarity for downtown Boston hotels. For extra legroom, ask for a room at the end of the hallway. Bathrooms come equipped with hair dryers, marble baths and Peter Thomas Roth amenities. Deluxe rooms offer terry cloth robes. 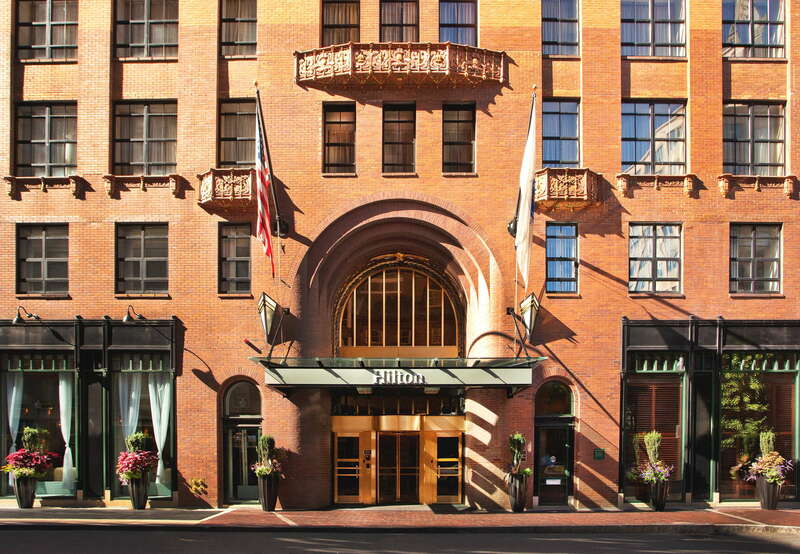 Originally the Batterymarch Building, the Art Deco beauty is a true piece of Boston architectural history. Inside, the lobby's mahogany paneling and soft gold lighting give the whole outfit an old-school Mad Men vibe. YOU SHOULD KNOW Just an FYI: There is no Hilton Honors Lounge at this location. The 24-hour fitness center has lots of cardio equipment and free weights, with TV's to watch while sweating it out. Fin Point Oyster Bar and Grille is the hotel's restaurant serving up New England cuisine. They also have a full raw bar. The Hilton's hotel bar and lounge is a 30-seat spot perfect for relaxing after a long day with a cocktail and an appetizer. It's easy to get around on foot from the Hilton, but guests who want to utilize the T can easy hop on the Blue or Orange Lines at State Station. Aquarium Station on the Blue Line is also just a few minute's walk, while Park Street on the Green and Red Lines is about a 10-minute walk. There's tons of fast food in nearby Faneuil Hall and Quincy Market, but if you're looking for a solid meal, try Central Wharf Company (3-minute walk) or Legal Sea Foods (5-minute walk). There's plenty of bars in the Faneuil Hall area. The post-work crowds love to hang at spots like Market (3-minute walk) and Bostonia Public House (3-minute walk). If you're looking for a more glitzy spot, try BOND (2-minute walk) at the nearby Langham Hotel. 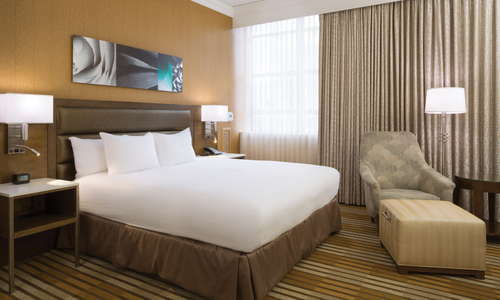 If you're a business traveler, the Hilton is clean, quiet, and within walking distance to the rest of the Financial District.